Digital Millennium Copyright Enforcement Act protects against unauthorized distribution of copyrighted works. Unauthorized distribution of copyrighted works takes many forms, from peer-to-peer networks to popular file-sharing sites like YouTube. Many owners of protected, copyrighted information feel powerless to prevent digital piracy that destroys the value of creative works. Effective monitoring and the remedies provided under the Digital Millennium Copyright Act (DMCA) provide powerful enforcement mechanisms to prevent the unauthorized copying and distribution of creative works. Contact McDaniel Law at 888-602-5990 or by e-mail to discuss an effective strategy to deter illegal downloading and digital piracy. We represent authors, licensees and distributors in monitoring and enforcement through the remedies provided by the DMCA. The DMCA was intended to both protect Internet Service Providers (ISPs) from liability for the content published by users, but also to strengthen the ability of the owners of copyrighted works to pursue rights to have infringing works removed from the Internet. Under the provisions of the DMCA, both ISPs and websites that post infringing material are granted immunity from civil liability for copyright infringement. 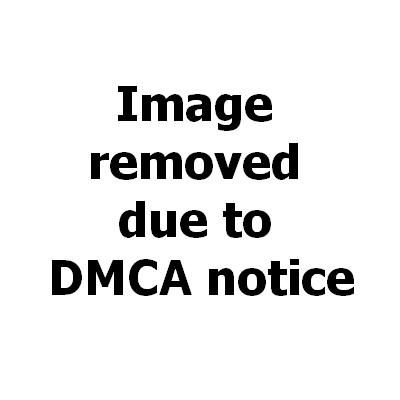 The DMCA, 17 U.S.C. § 512, however, imposes certain obligations in order for the limited liability to apply. An ISP, which transmits Internet communications, is required to have in place a system to limit and eventually terminate the service of accounts that engage in repeated acts of infringement. Internet providers, for example, have an obligation to adopt and to inform account holders of its policy providing for the termination of account holders who are repeat infringers. Web sites that allow the publication or sharing of user content, meanwhile, must comply with the demands that infringing content be removed from the site promptly. The failure to honor the owner’s so-called take-down notice will take the web site operator outside the statutory “safe harbors” provided by the DMCA. In addition, the DMCA provides the copyright owner with the ability to issue a subpoena to learn the identity of the person who distributed the copyrighted notice. In other words, the copyright owner can have infringing material removed and force the disclosure of the individual who place the material there in the first instance. Through monitoring and aggressive assertion of rights available under the DMCA, McDaniel Law is able to reduce or eliminate the exchange of copyrighted material and reduce the probability of such conduct in the future; ISPs and web site operators that ignore their obligations to remove or block infringement once it is discovered face significant civil penalties. Our ability to monitor and enforce DMCA rights quickly and efficiently protects the owners of creative works. Contact us to discuss a strategy for monitoring and DMCA enforcement to protect creative works from digital piracy.